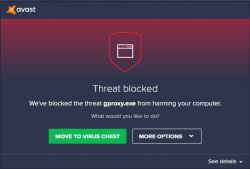 Avast doesn't quite like the Eurobattle.net Client and that results in deleting important files, such as gproxy.exe and w3l.exe which are necessary in order to be able to connect to our servers. 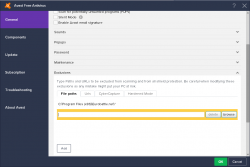 Such behavior is caused by Avast being too suspicious when inspecting files and as the programs mentioned above use specific methods to let you join our servers instead of the official Battle.net ones, they may be detected as viruses. It may make sense to add your warcraft 3 directory to exclusions as well. Reinstall the Client, your files should not be deleted anymore. This page was last modified on 22 January 2018, at 01:22.